Four people, including a father and his twin young sons, were found dead from carbon monoxide poisoning in a Dallas home Sunday morning. According to Dallas Fire-Rescue, two adult men and two children, both under the age of two, were sleeping in a home under construction on the 1400 block of Owega Avenue in East Oak Cliff. The owner said he allowed two of his employees to stay in the home, which had no electricity. At about 9:30 a.m. Sunday, the homeowner found the employees and the children dead inside with a gas-powered generator running in another room. Carbon monoxide is an odorless, colorless “silent killer” that often goes undetected. Here are some safety tips you can take to prevent CO poisoning in your home. "Even though they put it in a separate room from where they were sleeping, it ran long enough that the level was built up in the house and proved to be fatal to all the people," according to Dallas Fire-Rescue Public Information Officer Jason Evans. Evans said the men were using the generator to charge mobile phones and heating equipment and that they may have brought the generator inside after someone tried to steal it. Generators are not safe to use indoors or in improperly ventilated areas. The mother of the toddlers, Esmeralda Gonzalez, identified the children to NBC 5 as 19-month-old twins Elijah and Josiah Martinez. Their father, Nestor Martinez, was one of the workers in the house. The identity of the second adult male, who worked with the boys' father, has not been confirmed. Gonzales said the children were staying with their father for the weekend. She told NBC 5 she believed they were staying in a hotel after Martinez told her he had to leave another home where he had been staying. She later learned he was staying in the unfinished home. Gonzales said rescuers called her on Sunday from Martinez's cell phone and asked to come speak to her in person. "I couldn't believe it. I was waiting for me to wake up, that's all I could think about," Gonzales said. "Wake up, wake up, wake up. This is not happening." She said Martinez is originally from Honduras, but grew up in the Houston area. His family was on their way to North Texas after they learned of his death Sunday. "He loved his kids. Those were his first kids," Gonzales said. The family has launched a Go Fund Me campaign to help pay for the children's funeral. 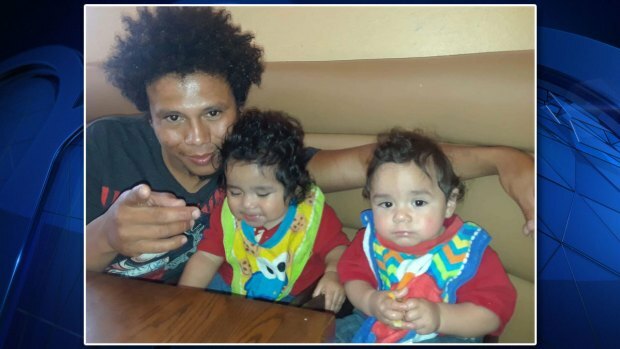 Nestor Martinez and his two sons, Elijah and Josiah, died from carbon monoxide poisoning. The owner of the house said it is unknown how long the generator was running inside the home. Firefighters located all four victims in a rear bedroom while the gas-powered generator was in a separate room. Dallas Fire-Rescue was unaware of whether or not the victims understood the dangers of carbon monoxide exposure. "Known as the Invisible Killer, CO has no color or odor and is virtually undetectable without the use of a hand-held or in-home CO detector/alarm," according to the Dallas Fire-Rescue website. Neighbors in the area that spoke to NBC 5 did not personally know the victims. "I mean anytime you hear something like that with a family and then with children involved ... its very sad," said Andrea Gonzales, who was sleeping in a home directly behind where the incident happened. 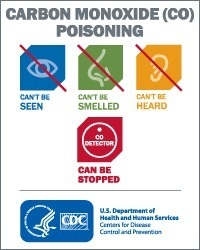 Carbon monoxide is an invisible killer. It's odorless, colorless and tasteless. The absolute best way to protect you and your family against carbon monoxide is to buy an in-home carbon monoxide (CO) detector. For about $20, a CO detector can alert you to the presence of carbon monoxide and give you an opportunity to exit your home safely. CO detectors should be installed on every level of your home as well as in sleeping areas. If you only have one detector, it should be installed in the main bedroom or in the hallway outside the bedroom as people who are sleeping, or who may be drunk, could die from CO poisoning before they are aware of any symptoms. 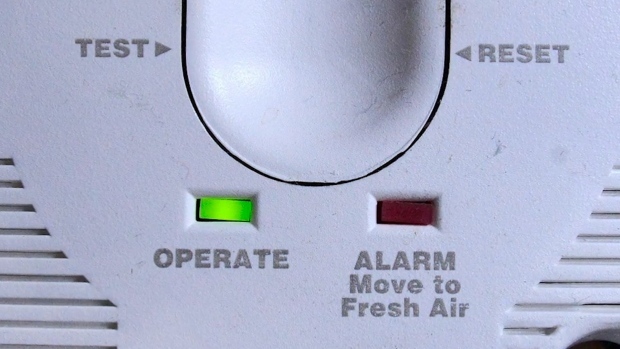 Carbon monoxide can leak if an appliance malfunctions or is installed incorrectly. Starting cars and not opening garage doors can pose a threat as well. Drivers who use key fobs to remotely start their vehicles are encouraged to make sure their garage doors are open before doing so. Early stages of carbon monoxide poisoning include dizziness, weakness, severe headaches, nausea, sleepiness, fatigue and confusion. Breathing a lot of CO could cause you to pass out and could become fatal. According to the Centers for Disease Control and Prevention, more than 400 Americans die every year from unintentional CO poisoning not linked to fires; more than 20,000 visit the emergency room, and more than 4,000 are hospitalized. If your CO2 detector's alarm sounds, you should immediately leave the home and seek fresh air and then call 911. It is also recommended that homeowners have a qualified technician inspect their HVAC system and vents each year.